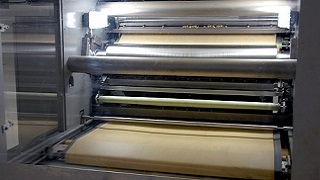 The sandwiching machine produces round or rectangular biscuit sandwiches with a single or co-deposited filling. There is a range of two to six lane machines. 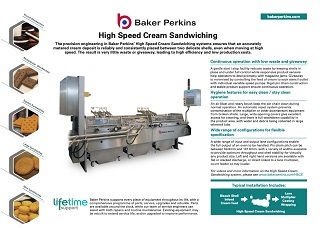 A combination of high speed and output, high efficiency and low production cost makes these creamers the choice of leading biscuit makers worldwide. 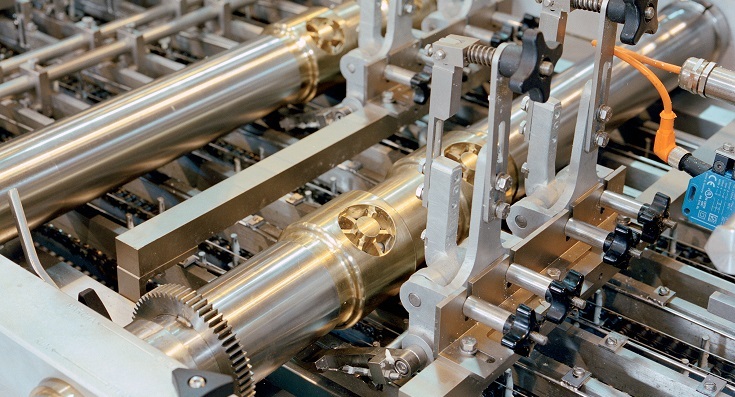 Rigid pin chain construction and stable product support ensure continuous operation. 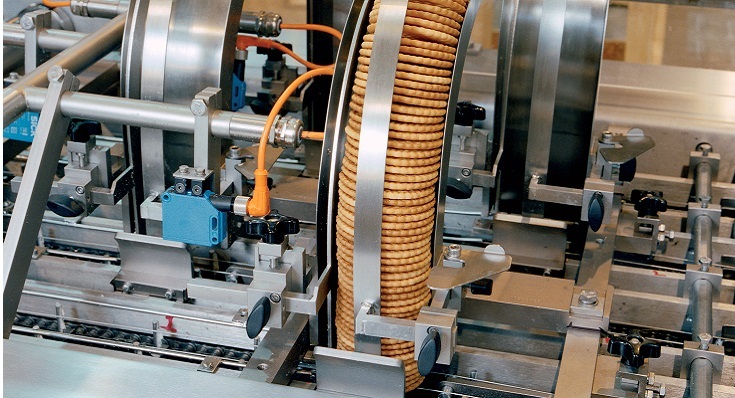 A gentle start/stop facility reduces waste by keeping the biscuits in place and under full control. 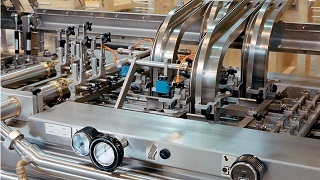 Product sensors enable operators to deal promptly with magazine jams. 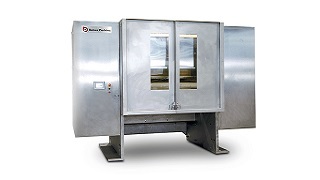 Giveaway is minimized by controlling the feed of cream to each stencil outlet by individual variable speed pumps. Touch-screen HMI control enables the complete sandwiching system to be operated from a single location. 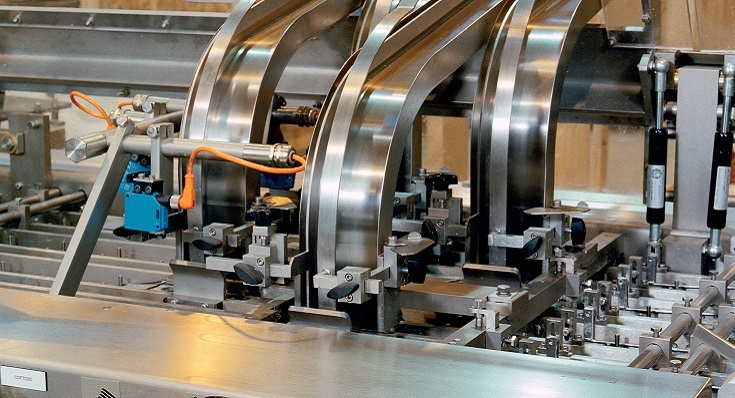 A clear, intuitive touch screen interface helps operators to maximize efficiency. An air blast cleaner and a rotary brush keep the pin chain clean during normal operation. 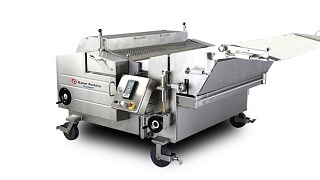 Wide opening covers give easy access for routine cleaning; there is full washdown capability in the product area. 2, 3, 4, 5 or 6 lane versions are available with pin chain pitches between 50 and 100mm to match biscuit size and upstream equipment. This minimizes the amount of product handling, reducing capital cost and product breakage. Systems can be automatically or manually fed; left or right discharge. 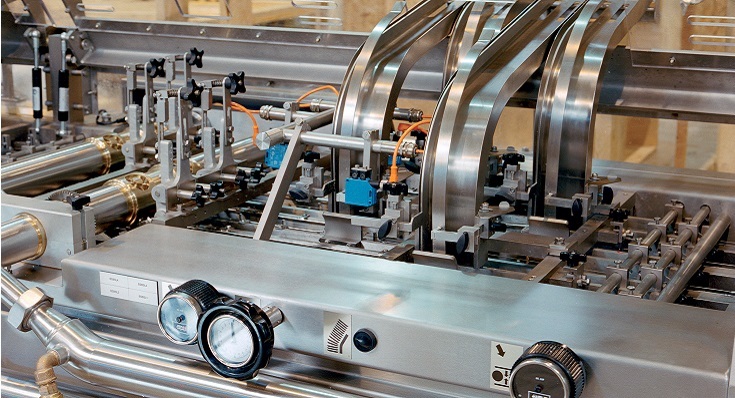 Output options include flat and stacked discharge, or a direct link to a lane multiplier, count feeder or tray loader. 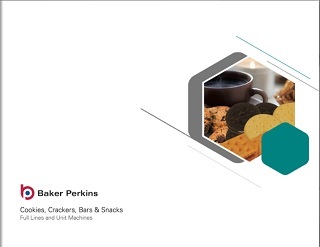 Baker Perkins' Sandwiching Machine range produces round or rectangular biscuit sandwiches with a single or co-deposited filling. There is a range of two to six lane machines. 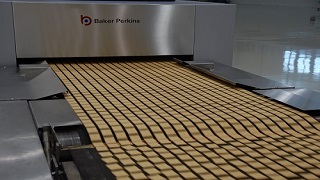 A combination of high output, high efficiency and flexible specification makes these creamers the choice of leading biscuit makers worldwide. 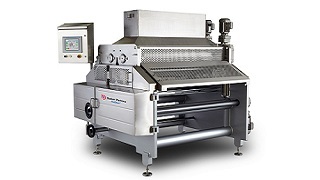 Maximum output with a 76.2mm chain pitch is product dependent, but usually in the 400-800 sandwiches per lane per minute range. Higher outputs are available with mini or snack size products.